But can Oregon pull off the same trick? Eola sourced Cabernet Sauvignon grapes from all over Oregon in 2007. No valley was left unturned: from the Willamette, to the Applegate, Umpqua, and the Columbia. But instead of just making a wine, they added grape spirit mid-ferment, which stopped yeasts, kept sugars, and raised alcohols to 17.6 percent. Now Portugal makes LBVs to fill a market nitch. They already make countless styles from blended, non-vintage Rubys, to long-aged Tawnys, and short-aged but intense Vintage Ports (meant for the cellar). For LBVs they take leftover Vintage Port and age it four to six years in oak and another in bottle. All that readies it for drinking on release. But Eola only makes an LBV: like a new director only remaking Indiana Jones II without I or III. Context be damned. This is America. After fortifying, their cab ages in barrels for five years, then another in bottle. The result is eerily impressive. A clear, darkly intense ruby forms the core, and washes up the sides of the swirling glass. Pronounced marzipan, amaretto, toasty caramel oak merely dress up a black berried, jammy core. Sweet. Moderate acids, tannins, and alcohol fight to compensate for all that pure sugar syrup, which leads to a viscous texture and plump plump body. Ripe blackberry syrup, vanilla, mint, and toasted oak last for a medium plus length. 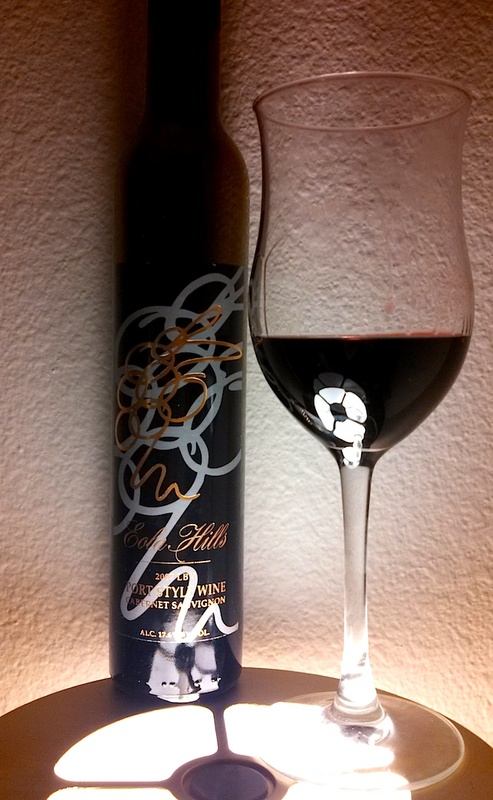 Eola Hills makes a very good (4 of 5), overtly pleasing LBV “Port Style Wine” for under $30. Whereas Warre’s 2000 LBV flirted and danced with outstanding quality, Eola’s LBV simply satisfies. It is a brilliant homage. It is very ripe, luscious, and saved by just enough structure, oak, and complexity. It is not bad for sequel remake. But it is perfect for cleaning up after Thanksgiving’s chaos. This entry was posted in Dessert, Port and tagged Applegate Valley, Cabernet Sauvignon, Columbia Valley, Eola Hills, Eola Hills Wine Cellars, Indiana Jones, Oregon, pinot noir, Portugal, Thanksgiving, Vintage Port, Warre, Willamette Valley Vineyards. Bookmark the permalink.